Introduction to Aix-en-Provence, Arles, Avignon, Grasse, Nimes, Vence as well as the bustling port city of Marseille France. Discover Antibes, Cagnes-sur-Mer, Cannes, Cassis, Hyeres, Juan-les-Pins, La Ciotat, Menton, Nice, St. Raphael, St. Tropez and Villefrance-sur-Mer. 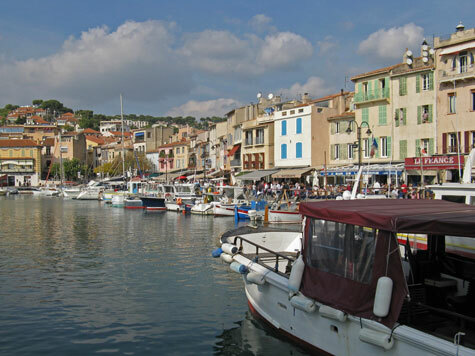 Overview of some of the most popular tourist attractions in the south of France. They include world-class museums and ancient ruins. Tourist accommodation in Provence France ranges from inexpensive B&Bs to luxury international hotels. Find a hotel that suits your budget! Overview of transportation facilities in Provence including airports, train stations, ferry terminals, cruise ports and highways.